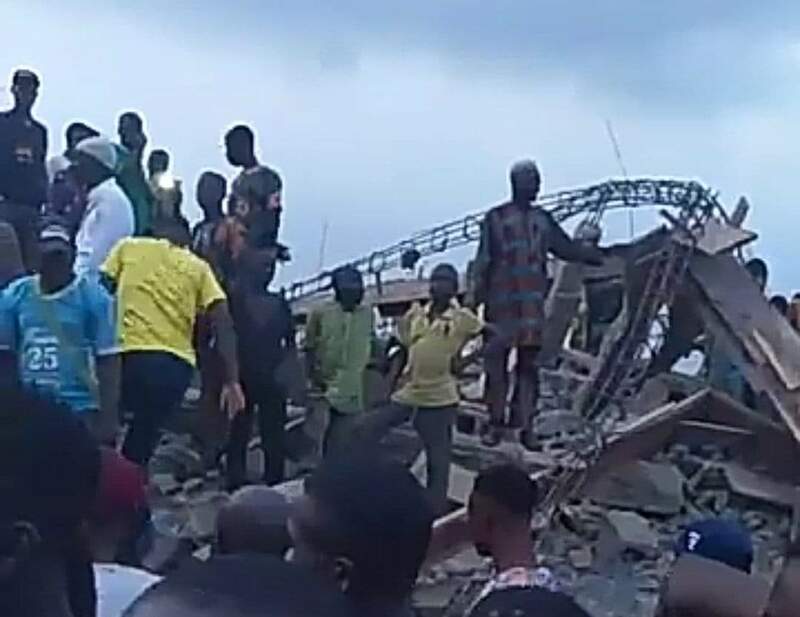 Barely two days after a three-storeyed building collapsed in Lagos State, killing 20 people, another building has collapsed at the Bode are of Ibadan, the Oyo State capital. According to reports reaching TNG, people are trapped and are still making phone calls under the rubbles. According to witnesses, no fewer than 23 persons were trapped in the collapsed three-storey building under construction. The incident occurred about 5.30p.m, witnesses told News Agency of Nigeria (NAN). David Aderibigbe, a witness who lives close to the building site, said no fewer than 23 workers and two food vendors were trapped in the building. He said that only six of the victims had been rescued from the debris by residents of the area. “Some of the survivors of the incident who have been rescued told us there are no fewer than 23 workers on site and two traders. “The survivor said one of the traders was trapped with her baby,” Aderibigbe said. Aderibigbe said some of the victims had been making telephone calls to seek help. Toheeb Gbadamosi, 19, one of the survivors, said, “Today is my first time of working at this place. Mojeed Agbaje, one of those involved in the rescue efforts, said two of his relatives (Tunde and Oladepo) were trapped in the building. Mr Akin Makinde, the Secretary, Oyo State Emergency Management Agency, said the report of the accident was shocking. He said that the agency had always warned builders to adhere to the building regulations to avoid disasters. Makinde said that he had contacted an excavator to clear the wreckage to enable the rescue of others still under the rubble. Meanwhile, fire servicemen, Red Cross and police personnel have deployed to the scene to help rescue victims. Although the excavator had yet to arrive at the scene of the accident at the time of this report, sympathisers, comprising traders and residents have besieged the scene.